Why Choose the Life/Earth Sciences Education Program? The Bachelor of Arts in Earth and Environmental Sciences, Life/Earth Sciences Education Concentration is designed for students pursuing careers as high school (Adolescent/Young Adult) teachers. Upon completion of the degree, students who wish to pursue teaching licensure must then complete the Professional Educators Program Master of Education (M.Ed.) degree, which is available through Wright State’s College of Education and Human Services. Graduates of the undergraduate program and the M.Ed. Professional Educators Program are eligible to seek licensure from the Ohio Department of Education in Life Sciences and Earth Sciences. 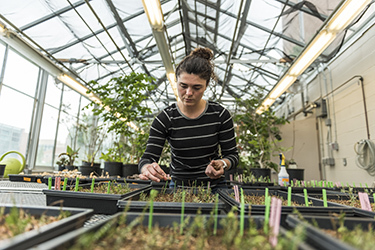 View Bachelor of Arts in Earth and Environmental Sciences, Life/Earth Sciences Education Concentration program information, degree requirements, and graduation planning strategy in the University Catalog.